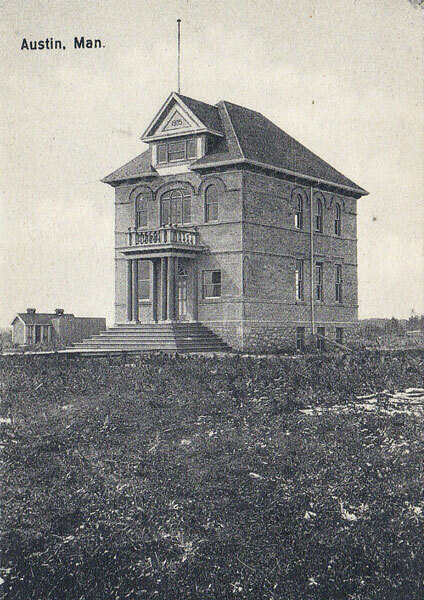 The Austin School District was established formally in May 1884 and it began operation the next year. A school building was located about one and a half miles southeast of the present village of Austin, in the Rural Municipality of North Norfolk. In 1891, a one-room schoolhouse was built in Austin. 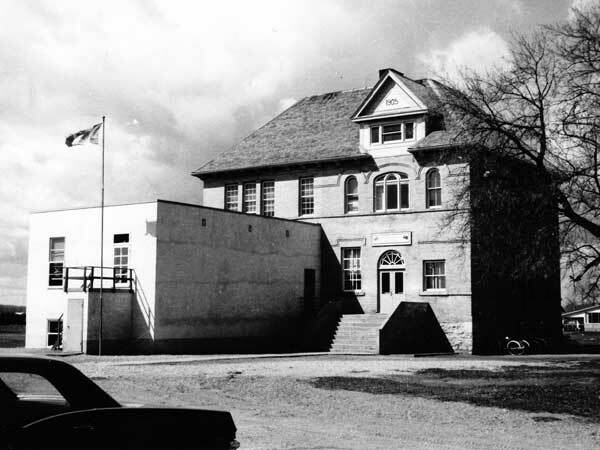 It was replaced in 1905 by a two-storey, two-classroom brick building, built on a design by Brandon architect W. N. Lailey. The school had expanded to three classrooms by 1923 and another room was added in 1931. The school expanded again in the 1950s with another classroom, with a teaching staff of eight. A new collegiate building to house students in higher grades was opened in September 1960, built by the Harper Construction Company on a design by architects Libling, Michener and Associates. It became a consolidated school when, in 1965, it merged with rural schools from the surrounding vicinity: Forestville School No. 656, Norfolk School No. 897, Orangeville School No. 1011, Ravenshoe School No. 1261, and Springbrook School No. 566. The consolidated school became part of the Pine Creek School Division in 1968. The old brick school closed in June 1974, having accommodated students in kindergarten to grade 6 for the last six years of its operation. The building was demolished later that year. During demolition, the building caught fire and burned. 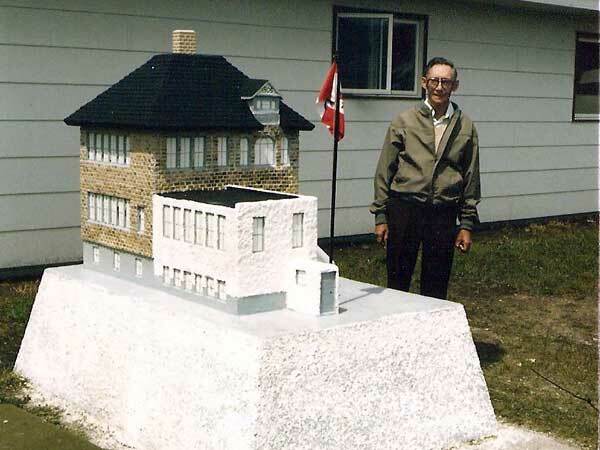 A monument, constructed by John Seaman (whose wife Marjorie had taught at the school), was erected on the former school site around 1980. 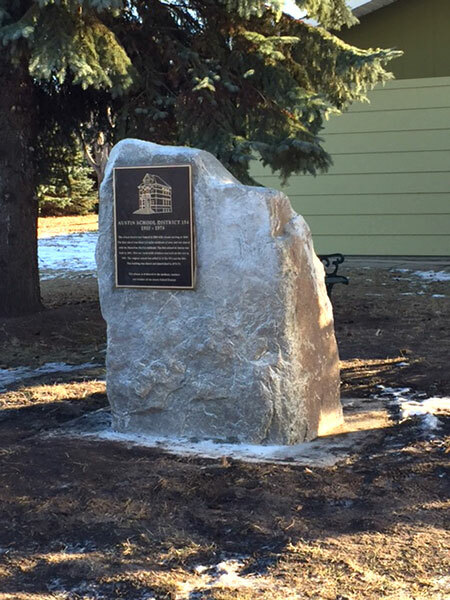 It was replaced by a plaque affixed to a boulder in 2015. 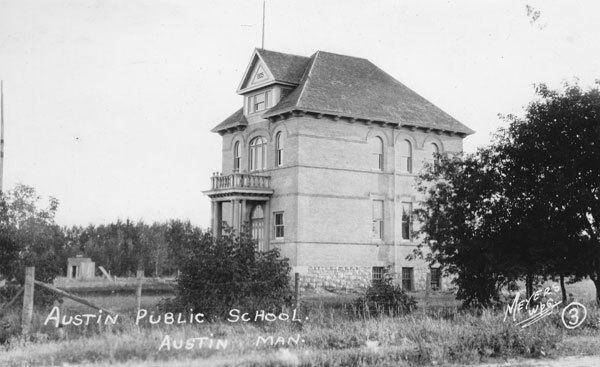 Other teachers who worked at Austin School through the years included: Miss Baird (1884), Mrs. William Cairns (1884), D. W. Broadfoot (1885), Caroline Sparling (1886), Lauchlin McQuarrie (1887-1888), Margaret Campbell (1889), Maggie Van Alstein (1894), W. J. Pine (1894-1895), W. A. Ross (1894-1898), Margaret E. Buchanan (1895-1899), Edna A. Oliver (1897), W. I. D. Lathwell (1898-1899), Flora E. Wilson (1899-1901), Neil Livingstone (1899-1900), Frank H. Belton (1900-1901), Grace E. Smale (1901), Albert E. Smith (1905), Olive M. Oswald (1905-1906), Chester C. McClellan (1906), Henry J. Everall (1906-1910), Frances H. Creighton (1906-1907), Laura J. Ronrig (1908-1909), Kate S. Ball (1909-1910), James Cameron (1910-1912), Gertrude Macdougall (1910-1914), Kathleen Johnson (1913-1914), Robert Williamson (1914-1915), Cordelia Mackay (1914), M. A. Dixon (1915), Grace Huntley (1915-1916), Edith Andrew (1915-1916), Arthur E. Cooke (1916-1917), Anna Stewart (1916-1917), L. C. Anderson (1917), Myrtle McQueen (1917-1918), L. Baldwin (1917), Ethel Collier (1917-1918), Miss McIntosh (1918-1920), Edith L. Cusack (1920-1921), Dorothy Mutch (1920-1921), F. E. Bowsfield (1920-1921), Jean M. Avery (1921-1923), Edith Gair (1921-1922), E. Birch (1921), Mary R. Russell (1921-1922), Olive Erickson (1922-1924), Alice M. Pieper (1923-1924), Ida C. Graham (1924-1927), Wilfrid G. Booth (1924-1927), Frances M. Jones (1924-1926), Mary C. Campbell (1926-1927), Mary Cameron Cowan (1928-1938), Mary I. Morris (1928-1933), Keith Alexander Booth (1929-1931), Peter M. Livingstone (1933-1937), Phyllis C. Mitchell (1936-1937), John L. Holmes (1937-1938), Audrey M. Poyser (1937-1943, 1947-1948), Barbara Anna Robinson (1938-1942), Dorothy P. Fraser (1938-1939), Jean Gertrude Lennox (1939), Hannah Margaret Robinson (1939-1940), Eleanor Lavinea Brown (1941), Anita O. Heim (1942-1944), Margaret Anderson (1943), Jane Frances Fillmore BA (1943), Thelma Rose I. Osman (1943-1946), Margaret Mary Brown (1943-1947), Alice P. Hardisty (1944-1945), Irene Rosemary Feher (1945), Eva Eileen Duncan (1945), Roland Gauntron (1946), Lois M. Harkness (1947), Jean D. Hotel (1948), Peter Black (1948-1951), Gerald Lionel Kuran (1949-1950), Lydia P. Harvey (1948-1950), Wilma Stock (1950), Patricia Duncan (1951-1954), Mary J. Roy (1951), Mary Stimpson (1952-1953), Doreen Miller (1952-1953), Sheena H. Williams (1953-1955), Robena S. Lowe (1953-1954), Edith Cronk (1954-1955), L. W. Stephens (1954-1955), A. J. Polz (1954-1955), Leona D. Riddell (1955-1956), Kathleen A. Dennis (1955-1957), Gilbert E. Brown (1955-1959), B. Trudeau (1955-1956), Christina Whyte (1956), John Naherney (1956), Mrs. Marjorie E. Seaman (1956-1960), C. Joan Whyte (1957-1959), G. Raymer (1957-1959), Nancy A. Wilson (1958-1961), Marguerite Willis (1958-1960), Norma Jorgenson (1959-1960), Myrna Peck Williams (1959-1965), Gertrude Tait (1959-1962), Ralph Rabinovitch (1959-1960), Marjorie E. Manns (1960-1964), Anne Zamrykut (1961-1962), Eunice Stephenson (1961-1962), Grace H. Hay (1962-1965), Beryl E. Dennis (1962-1965), Margaret M. Peacock (1962-1964), Miss Graham (1964), Glen Lowe (1964-1965), Gertrude McGregor (1964-1965), Miss Mary Jane Brewster (1965), Miss Karen Armstrong (1965), Miss Marlene Dilk (1965). GR8461, A0233, C131-1, page 53. 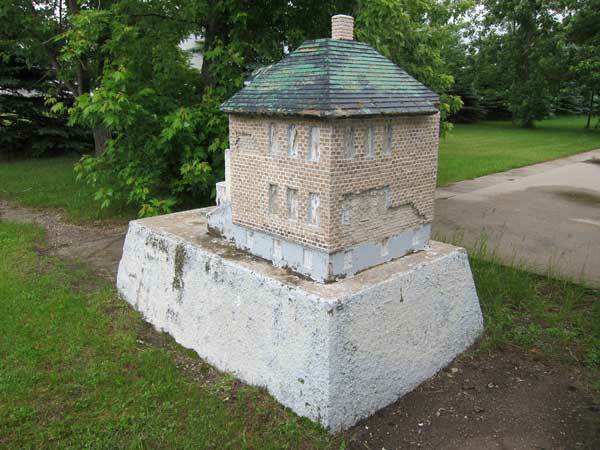 Source: Archives of Manitoba, Architectural Survey - Austin 7. Through Fields and Dreams: A History of the Rural Municipality of North Norfolk and MacGregor by The History Book Committee of the North Norfolk-MacGregor Archives, 1998, page 840. We thank Neil Christoffersen, Jacquie Jones, Nathan Kramer, and Gordon Booth for providing additional information used here.